Arak is a Levantine alcoholic spirit in the anise drinks family. Arak is a colorless, clear, unsweetened distilled alcoholic drink with anise flavor. Arak Saggi, a Persian version of arak does not contain the anise, and produced from sugarcane, raisins, and dates. It is a traditional alcoholic beverage in Iraq, Iran, Jordan, Lebanon, and Syria. Increase in the arak popularity among younger individuals coupled with rise in adoption of arak in cocktails are expected to drive the growth of arak market. 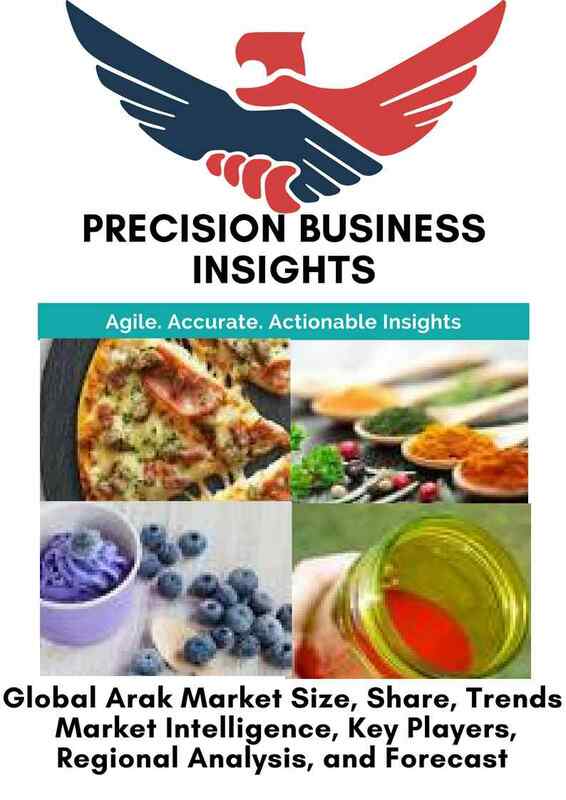 Moreover, increase in the production of arak by the market players, rise in number of restaurants, pubs, and bars around the globe, launch of innovative arak products with different flavors, and change in lifestyle are anticipated to fuel the global arak market over the forecast years. However, high production cost and selling prices, poor regulatory norms for the production of arak, and volatile political climate in Middle East countries such as Syria leads to increase in cost of raw materials, which may hinder the growth of arak market. Geographically, global arak market is segmented into North America, Europe, Asia Pacific, Latin America, and Middle East and Africa. 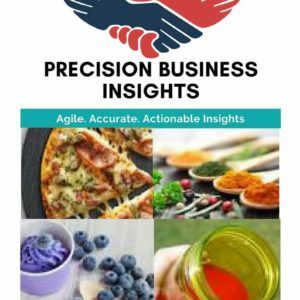 North America arak market is poised to grow due to rise in the consumption of alcoholic beverages in U.S., rise in disposable income, and change in lifestyle. 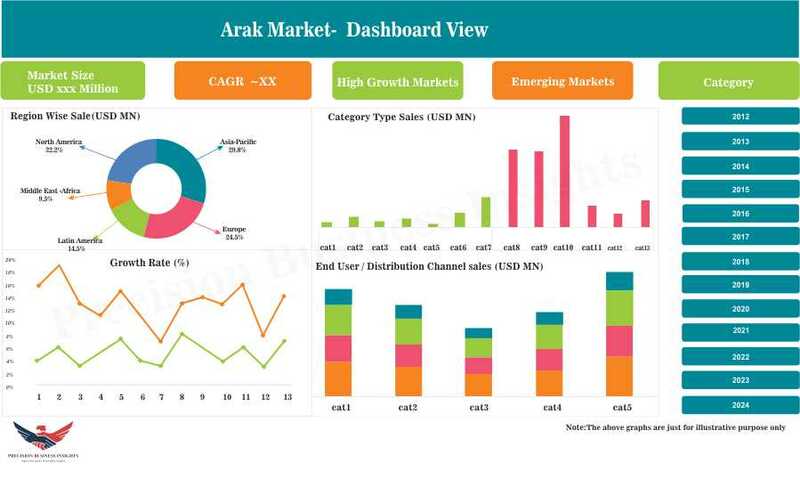 Europe arak market has a lucrative growth, which is attributed to entry of market players into Europe region, manufacturing of cocktails by using arak as a key ingredient, and increase in the number of distribution channels are expected to bolster the growth of market. 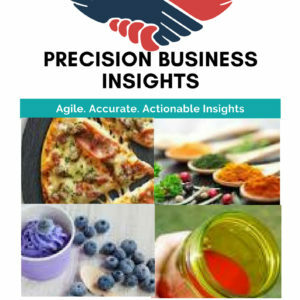 Asia Pacific arak market has a prominent share due to rise in population preferring alcohol majorly in India and China, high adoption of western culture, and rise number of bars and pubs in the region.